The Amissio Formula Scam Review - Stay Away! The Amissio Formula scam is another up and coming hot topic in the binary options arena, because it claims to have 100% win rate. Don’t be fooled though, as the Amissio Formula is a scam. Read our in-depth Amissio Formula review to find out the hidden truth! 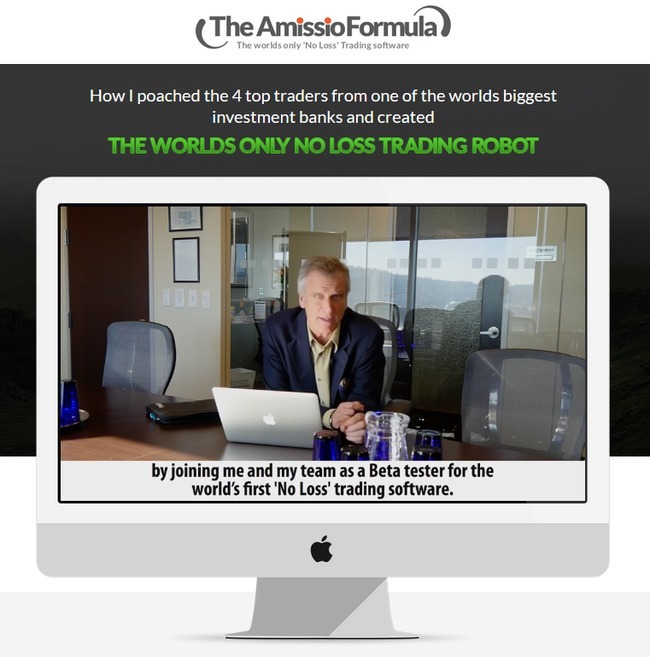 Craig Phillips, the alleged owner and CEO of the Amissio Formula software claims to have developed the world’s first “no loss” trading software with 4 other top traders. According to him, the Amissio Formula software has not returned a losing trade since the beginning of 2014. Not only that, the 50 beta testers who used the same Amissio Formula software made a huge fortune with their help. Now, they are open for a final round of beta testing before using it to manage a hedge fund. Craig Phillips is promising to make you tens of thousands of dollars every single day, but don’t just take his words for it. Let’s find out some of the alarming red flags within The Amissio Formula before we reveal the ultimate evidence that prove that The Amissio Formula is a scam. Trades are only open 5 days a week! Craig Phillips tries to sell the Amissio Formula software as a fully automated trading robot that doesn’t require any input from their users (victims). According to Craig, if you can log into your Facebook account, you can make money with the Amissio Formula software. To pull you further into the scam, Craig mentions that trading is 24 hours a day, 7 days a week to convince you that the software can really make money for you 24/7. Craig is either a paid actor that doesn’t know a thing about binary trading, or he’s trying to scam complete beginners who have zero trading experience. Any trader would know that the binary options market is open 5 days a week, and no trading can be done on the weekends, except for rare commodities such as cryptocurrencies on selected brokers. Such a mistake cannot be overlooked in the official sales video of binary options software, especially when it comes from an alleged expert in binary trading. This is just the first red flag you can find in the sales video. Now let’s look at the second discrepancy in Craig’s claims. Craig claims that he has let 50 beta testers use his Amissio Formula software before in the year of 2014. Now keep in mind that the software can only be obtained through their website and nowhere else. We decided to run a whois inquiry on the website’s domain. Whois information is publicly available data that documents the basic info about every website on the internet. 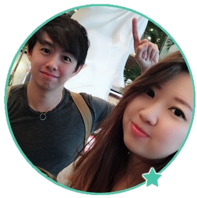 As you can see, the website for the Amissio Formula, theamissioformula.com was created only on 26th February of 2016. If the software has been opened for beta testing since 2014, and it can only be obtained through their official website, how did the previous beta testers obtain their copies? The truth is, there was no beta testing done for the Amissio Software back in 2014. Heck, even the current sales video is not looking for beta testers. It is a blatant scam looking to rip off its victims when they deposit their mandatory $250 investments into the broker accounts. On the sales page of the Amissio Formula scam, you’ll find a counter right below the sales video that displays the number of spots available for your country. As time passes, the number of remaining spot slowly dwindles down to only 1, and stops there. Is there really limited spots to the Amissio Formula software? Not really. This is just a marketing tactic used in many online scams, such as Zulander Hack scam that we’ve reviewed before. There’s an easy way to find out if the counter is a fake. Try to copy the URL for the sales page and open it in an incognito browser tab or on another browser, and you’ll realize the remaining spot for your country jumps back to 5 available spots. It’s just a computer script that is set to countdown every time the webpage is loaded. The same goes to the fake countdown timer you can find in the “member’s page” after you fill in your details. Try refreshing the webpage, and you’ll find that the counter resets itself too. These counters are there to create a false sense of urgency and limited time offer. By placing the counter and timer, the Amissio Formula scam can force a few more impulse sign ups. Not many people click into the disclaimer of a website and read through it, word by word. So I’m here to give you a break down of what is contained within the disclaimer of the Amissio Formula scam, and why you should be careful with it. You understand and agree to assume total responsibility and risk for your use of the site. Amissio Formula does not make any express or implied warranties, representations or endorsements whatsoever. Amissio Formula shall not be liable for any cost or damage arising either directly or indirectly from any such transaction. It is solely your responsibility to to evaluate the accuracy, completeness and usefulness of all opinions, advice, services, merchandise and other information provided through the service. Once you use the website and the software, you assume total responsibility and deemed to have accepted the risks of losing your investments. Despite giving you a 100% winning trades warranty, Amissio Formula scam is denying any warranties given. Similarly, Amissio Formula scam will not be responsible for any damages and costs incurred to you from the use of its software. You cannot take the words of Craig Phillips for it. It’s your responsibility to evaluate the accuracy of what’s promised within the Amissio Formula sales material. If you lose money through the software, it’s because you did not evaluate the opportunity accurately. You can’t take any legal actions because you have accepted the risks of using the software according to their disclaimer, even though you were promised it’s a zero-risk software. If they wanted to be honest about the risks of using the software, they would’ve told you in the sales materials. Instead, they chose to present you with lies and fake promises. Is The Amissio Formula a Scam? YES, THE AMISSIO FORMULA IS A SCAM. We strongly advise you to stay away from the scam if you don’t want to lose your hard-earned money. My First Online Payday Review – It’s a Scam!